Univision is embarking on a new effort to register its Hispanic viewers and encourage them to vote in the presidential election. The "Vote For Your America" initiative, to be announced Tuesday, could have far-reaching consequences. Univision, the biggest Spanish language broadcaster in the United States, is a trusted brand in millions of Hispanic homes. The campaign will entail ads on TV and radio, editorials, voter registration drives, other local events, and a bilingual texting messaging tool. A new online voter guide will be established at YourAmerica.com. "If you don't" vote, "someone else will," the site says. "And you might not like who they're voting for. Vote for your ideals. Vote for your future. Vote for Your America." The effort will simultaneously sign up new eligible voters and make sure past voters return to the polls. Randy Falco, Univision's CEO, said in a statement that the goal is "mobilizing the 27 million eligible Hispanic voters in the 2016 general election." The New York Times, which first reported on the initiative, said Univision wants to sign up "about 3 million" new voters, roughly the same number who are newly eligible since the 2012 election. Univision says it is not telling its viewers who to vote for. But some Republicans are likely to view the new effort skeptically for a number of reasons. Among them: Hispanics disproportionately vote for Democrats. One of Univision's main owners, Haim Saban, is a well-known backer of Hillary Clinton. 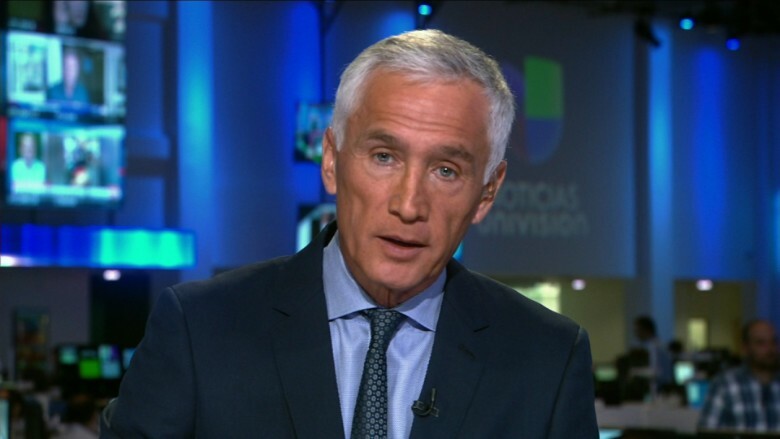 And one of Univision's top anchors, Jorge Ramos, has publicly tussled with Donald Trump. Ramos has said he is simply representing his audience, which is deeply concerned about anti-immigration rhetoric. Separately, Trump sued Univision last summer after the network canceled the telecast of his Miss USA pageant. The two sides recently settled the litigation. Ramos and Trump's representatives are now talking about a possible interview. Falco said in a statement that the new voter campaign is about equipping "Hispanic citizens" with the nonpartisan information they need to participate in the political process. Its partners include the National Council of La Raza, Voto Latino, and Rock the Vote, among many others. Univision's various television networks and web sites will promote registration deadlines and election days. The efforts "will include voter registration drives, citizenship workshops, town hall meetings, countdowns to the primaries on-air, social media influencer outreach and community call centers, where viewers can get answers to their election-related questions each month," the company said.